Let’s say your competitor has invested a tidy sum creating an awesome YouTube video about its sizzling hot, number-one best-selling product. The video gets tons of views. Good on the competitor. You, not so much. However, what YouTube will let you do to stay in the game is insert a commercial for your own product directly in front of your competitor’s video. Every time someone clicks to start watching the rival’s video, they first see an ad from you. Try as they might, viewers can’t make your commercial go away until after five seconds have passed. During that short span — a seeming eternity in modern online advertising — those viewers are a captive audience. With the right messaging techniques, you can convince the viewer to stick with your ad beyond those five seconds and even entice him or her to click through to your website where your persuasive content, chatbots and sales team await to make conversions happen. Welcome to the world of TrueView YouTube advertising. It’s a fantastic way to build brand awareness and, more importantly, target your audience. However, this strategy is shockingly underutilized. 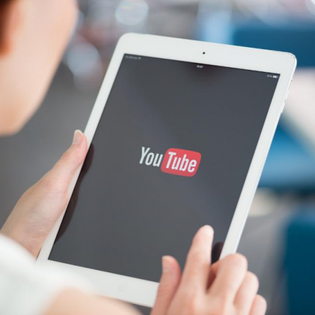 Only an estimated 9% of U.S. small businesses even bother to post YouTube videos, let alone slap commercials in front of the videos posted by others. And there are plenty of places where those TrueView commercials potentially can be slapped, considering that roughly 400 minutes worth of new video is uploaded to YouTube every 60 seconds. In my experience, the reason more businesses aren’t using TrueView is they’ve been so thoroughly beguiled by Facebook advertising. By focusing on Facebook to the exclusion of other platforms, they’re overlooking the fact that YouTube is not just a home for cute critter videos and clips showing stunt-performing teenage boys. YouTube is a place where people now almost reflexively turn when they want to learn how to repair stuff, explore the latest cool hacks for saving time and money, follow engaging lifestylers and personalities, see previews of whatever’s playing at the local cinema, enjoy music videos and so much more. That makes YouTube an ideal place to make your pitch. Part of what makes TrueView ads ideal is they’re designed to be non-annoying — or as non-annoying as possible. A big, no-way-you-can-miss-it button in the lower right corner of the video box gives viewers the option to skip your ad after the first five seconds. Another aspect of TrueView ads that makes them a winner is cost. You pay for the spot on a cost-per-view basis and only when the viewer watches beyond the first five seconds. TrueView ads come in two varieties. The first is known as an “in-stream” spot. This is the one that appears before the start of someone else’s video. The second type is called a “discovery” ad. It appears as a YouTube video search results listing (it will show up at or near the very top of the search results and bear a small orange-hued box containing the word “ad”). To watch one, the viewer must click on it. There’s no skip option because the viewer chose to watch. Once you decide to run YouTube TrueView video ads, you can improve the effectiveness of your spots by implementing the following suggestions. Make sure your in-stream ads run longer than five seconds. YouTube and Google (which owns YouTube) will insist that your ad extend beyond the skip point (so they can charge you for it). Google’s suggested minimum length is 12 seconds. My own recommendation is no shorter than 10 (and no longer than 30) seconds. Make your strongest grab for viewer interest in those first five seconds. Otherwise, they’ll click the skip button the instant it becomes usable. If you can hold their attention beyond the five-second mark, you will have opportunities to draw those viewers farther down into your funnel. Test different titles and thumbnails for your discovery ads. You’re given the option to play around with those in order to find versions and combinations that work best. • Clickable calls to action: A 15-character headline followed by a 10-character splash of text can be made to overlay or show up alongside your in-stream or discovery ad. If the viewer clicks on the overlay or sidebar, he or she will be whisked to your designated landing page or website. • Cards: You can set a specific time during your ad when one or more pop-up cards will appear. Each card remains on screen for three seconds or so. Use these to drip out enticing info tidbits. • Shopping cards: Similar to regular cards. The difference is they are live links to an e-commerce page of your choosing. They work best when your ad shows a product and you want to give the viewer an easy, immediate way to buy it. TrueView video advertising is a big deal — and it looks to be getting bigger. In mid-2018, YouTube introduced TrueView for Action. This is an ad format intended to elicit more clicks and conversions from viewers by letting you eschew one-size-fits-all calls to action and instead customize them in ways specific to each individual. Last spring, YouTube also began offering TrueView for Reach, a reach-based pricing formula for its skippable ads. The idea is to make the spots more cost effective for you. During beta testing, Google found TrueView for Reach significantly increased ad recall in 90% of the campaigns participating in the trial. So, sure, TrueView video ads give you an advantage by letting you piggyback on the successful advertising of your competitors. Is it an unfair advantage? Nah. Your rival can just as easily employ it against you. And trust me: If your competitor is smart, you can be sure they are looking closely at YouTube TrueView advertising. That’s why you need to be looking at it yourself.